2.4 Any samples, drawings, descriptive matter or advertising issued by the Supplier and any descriptions of the Goods or illustrations or descriptions of the Services contained on the Supplier’s website or in the Supplier's catalogues or brochures are issued or published for the sole purpose of giving an approximate idea of the Services and/or Goods described in them. They shall not form part of the Contract or have any contractual force. Period Style Ltd manufacture bespoke products and are not able to offer sales defined by samples. 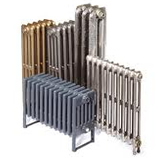 7.2 The Supplier warrants further to clause 7.1 that on delivery, its cast iron and steel radiators (but for the avoidance of doubt, none of its valves and other items) shall be free from manufacturing defects for 10 years and its valves and other non-electrical accessories shall be free from manufacturing defects for 5 years. However, this warranty does not apply in the circumstances described in clause 7.13. 7.7 THE CUSTOMER MUST NOT RELY ON SIZE ESTIMATES; DO NOT ALTER PROPERTY OR LAY ANY PIPEWORK UNTIL THE PRODUCT HAS BEEN POSITIONED Although the Supplier will make every effort to be as accurate as possible, because the Goods are bespoke and handmade, all measurements in brochures or on the Supplier’s website have a 2% tolerance and all measurements provided are estimates. The Supplier strongly recommends that the Customer positions the Goods on its premises before installing any pipework or making any other structural or non-structural alteration to the premises. BE ADVISED; the Customer can not rely on these estimates. If the Customer needs to lay pipework or make alterations to its premises prior to receiving the Goods, the Supplier can upon reasonable request supply the Customer with a pipe-centre specification document which will contain exact measurements (including pipe centre, inlet and outlet, and distance to floorboard) which the Customer can at this point rely on. The Supplier can not accept responsibility for any remedial works required should pipework be laid in a position not in accordance with the Supplier’s pipe-centre specification document. 7.8 NOT ALL OF THE GOODS ARE DELIVERED FULLY ASSEMBLED All of the Supplier’s sectional radiators are assembled to a restricted size due to haulage and manoeuvrability considerations and most importantly, due to health and safety restrictions. The maximum size for each radiator is provided within the description provided on the Supplier’s website or within its brochures. If the Customer orders a sectional radiator in excess of its prescribed restricted size (as provided for within the description on our site) we will be unable to deliver this to you in a fully-assembled form and this will be assembled by us up to the maximum size, with the additional sections supplied separately with a radiator tool and some assembly instructions for you to assemble yourself upon receipt. If this is unacceptable to you, we would ask you not to complete your order until you have spoken to a member of staff (details of which are provided in clause 1 above). Any self-assembly of our Products is done so at your own risk and we strongly recommend that you contact us about the on-site assembly service we can supply to most locations within the United Kingdom. If we feel that the radiator is too large in one piece, we will contact you to discuss the possibility of delivery in two or more pieces. 7.9 We may add one extra leg section to larger radiators to distribute the weight and reserve the right to vary the assembly structure according to the available geometry. 7.10 The packaging of the Goods may vary from that shown on images on the Supplier’s website or in the Supplier’s brochures. 7.12.8 the Goods differ from their description as a result of changes made to ensure they comply with applicable statutory or regulatory standards. 7.13 Except as provided in this clause 7, the Supplier shall have no liability to the Customer in respect of the Goods' failure to comply with the warranty set out in clause 7.1. 7.14 The terms of these Conditions shall apply to any repaired or replacement Goods supplied by the Supplier under clause 7.9. 8.3.1 store the Goods separately from all other goods held by the Customer so that they remain readily identifiable as the Supplier's property;8.3.2 not remove, deface or obscure any identifying mark or packaging on or relating to the Goods; 8.3.3 maintain the Goods in satisfactory condition and keep them insured against all risks for their full price on the Supplier's behalf from the date of delivery;8.3.4 notify the Supplier immediately if it becomes subject to any of the events listed in clause 16.1.1 to clause 16.1.12; and8.3.5 give the Supplier such information relating to the Goods as the Supplier may require from time to time. Period Style Ltd, will not deliver the Goods or supply the Services to the Customer until all arrears are cleared in full. 15.2.2 the Supplier's total liability to the Customer in respect of all losses arising under or in connection with the Contract, whether in contract, tort (including negligence), breach of statutory duty, or otherwise, shall in no circumstances exceed 125% of the value of those particular Goods and/or Services which are defective (Damage Value) and the Damage Value shall not be deemed to include any other Goods and/or Services provided under the same Contract or otherwise and shall relate only to the Goods and/or Services which caused such damage. 15.3.6 any indirect, special or consequential loss or damage.